Here is some important information about the Disney On Ice - Worlds of Enchantment show coming soon to Jozi and Cape Town. VERY IMPORTANT: No babies in arms without a purchased ticket. About Showtime Management (SA) Originally founded by Hazel Feldman and now with her son and partner, Tony – Showtime Management has set the benchmark for the presentation of quality, international-standard shows and events, many of which have been presented throughout South Africa, Asia, Europe and Las Vegas. Concert productions include: The Rolling Stones; Frank Sinatra; Elton John; Rod Stewart; Pavarotti; Seal; Diana Ross; Liza Minnelli; The 3 Tenors; Black Eyed Peas; Deadmau5; 50 Cent; George Benson; Swedish House Mafia, the FIFA 2010 Kick-off Concert with John Legend; Shakira and a host of international and local artistes; Tap Dogs; Hardwell; the Electric 2014 NYE Ball featuring the legendary Carl Cox, Eminem’s Rapture SA Tour, Ultra 2014, Cirque Eloize and Disney on Ice 100 Years of Magic. This year’s line-up featured Ultra 2015, Jason Mraz, Disney On Ice presents Let’s Celebrate, Russell Brand, Alvin Ailey American Dance Theatre and Engelbert Humperdinck. 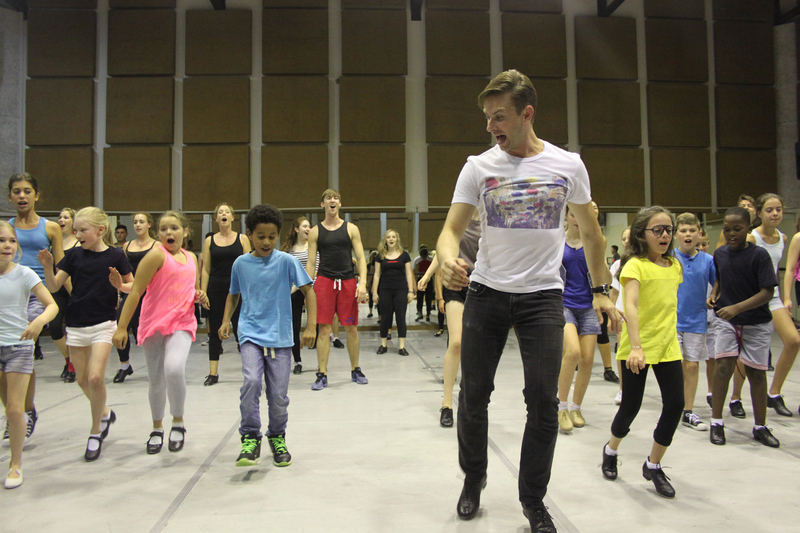 Musical Theatre productions include FAME; CHICAGO; WE WILL ROCK YOU, BEAUTY & THE BEAST; HIGH SCHOOL MUSICAL; RENT; MAMMA MIA! ; DREAMGIRLS; MENOPAUSE THE MUSICAL; BEAUTIFUL CREATURES; DIRTY DANCING and JERSEY BOYS South Africa, Asia and Turkey. More information available at www.showtime.co.za. The Walt Disney Company Africa (TWDCA) has been active across the continent for over 50 years. TWDCA has three channels on the Multichoice DStv platform which operates across the continent – Disney Channel (celebrating its 10th birthday in 2016), Disney Junior and Disney XD – and is one of the leading provider of children’s TV channels in Africa. Disney is also one of the top distributors of US programming in the region, bringing network series, movies as well as Disney-branded kids and family content to TV viewers. These include top rating US network ABC Studios series such as Grey’s Anatomy, How to get away with Murder, The Fixer, Quantico and Marvel’s Agents of S.H.I.E.L.D. TWDCA’s film distribution arm is a leader for family movies in cinemas and on DVD and Blu-Ray. In December 2015, Star Wars returned to the big screen with Star Wars: The Force Awakens. Not only did the film launch as the biggest December opening weekend of all time, but also went on to become Disney’s biggest release ever, currently sitting as the 3rd biggest film of all time in the history of the South African Box Office. In December 2016, the first film in the new standalone Star Wars stories series, Rogue One, will hit cinemas. Recent animated feature releases include Disney•Pixar’s Inside Out and The Good Dinosaur, with 2016 seeing the much anticipated release of Disney•Pixar’s Finding Dory in June. Marvel releases for the year include Captain America: Civil War and Dr Strange. 2014 and 2015 saw local production stops of both Marvel’s Avengers: Age of Ultron and the live-action Disney film Queen of Katwe respectively. In February, ABC Studios completed production of the live-action series Of Kings and Prophets in Cape Town and Disney Channel is currently airing its first ever local production, I Love Violetta, a companion series to the channel’s #1-rated show, Violetta. Feld Entertainment’s Disney On Ice returned to South Africa for the fourth time in 2015 with Let’s Celebrate! with a 21% year-on-year increase in attendance. 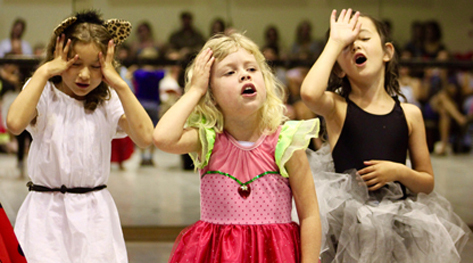 The Disney family extravaganza returns in 2016 with Worlds of Enchantment this June and July. As part of the company’s on-going commitment to help family’s lead healthy and happy lifestyles, Disney, in collaboration with Discovery Vitality, launched the Disney Healthy Living Website in 2015. The online destination offers families engaging content, useful tools and unique experiences to make nutritious eating and physical activity more appealing and fun for their children. Disney Baby Africa was also launched, offering expecting and new parents information, resources, inspiring ideas and more to create magical moments through pregnancy, birth and the early years of raising their children. Disney On Ice presents Worlds of Enchantment is an action-packed ice spectacular featuring four fun-filled Disney stories that showcase many of the beloved characters from Disney’s The Little Mermaid and Disney●Pixar’s Cars and Toy Story 3, along with Mickey Mouse, Minnie Mouse, Donald Duck and Goofy. Joining these cherished characters are the stars of Disney’s Frozen. Presented by Feld Entertainment Inc and leading local promoter, Showtime Management in association with DSTV, Worlds of Enchantment opens on Friday, 24 June 2016 at the Ticketpro Dome, Johannesburg and runs until Sunday, 03 July 2016. The production moves to the Grand Arena, GrandWest, Cape Town from Wednesday, 06 July 2016 to Sunday, 10 July 2016. Tickets are on sale at Computicket. Disney On Ice presents Worlds of Enchantment offers families a special discounted savings valid for bookings of four, five and six tickets in specific priced ticket categories. Family packages at the Ticketpro Dome are available weekdays at a discount of R40 per ticket on the R275 and R375 price categories while weekend tickets valid on the R375 and R475 categories are discounted by R30 per ticket. This is across all shows at the Ticketpro Dome so that families can enjoy incredible weekday savings of R160 on a purchase of four tickets, R200 on five tickets and R240 on six tickets. 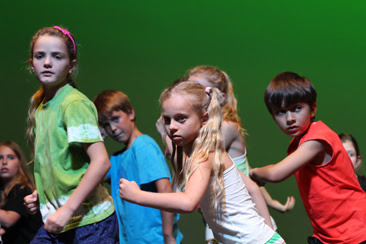 Over weekends families save R120 on a purchase of four tickets, R150 on five tickets and R180 on six tickets. 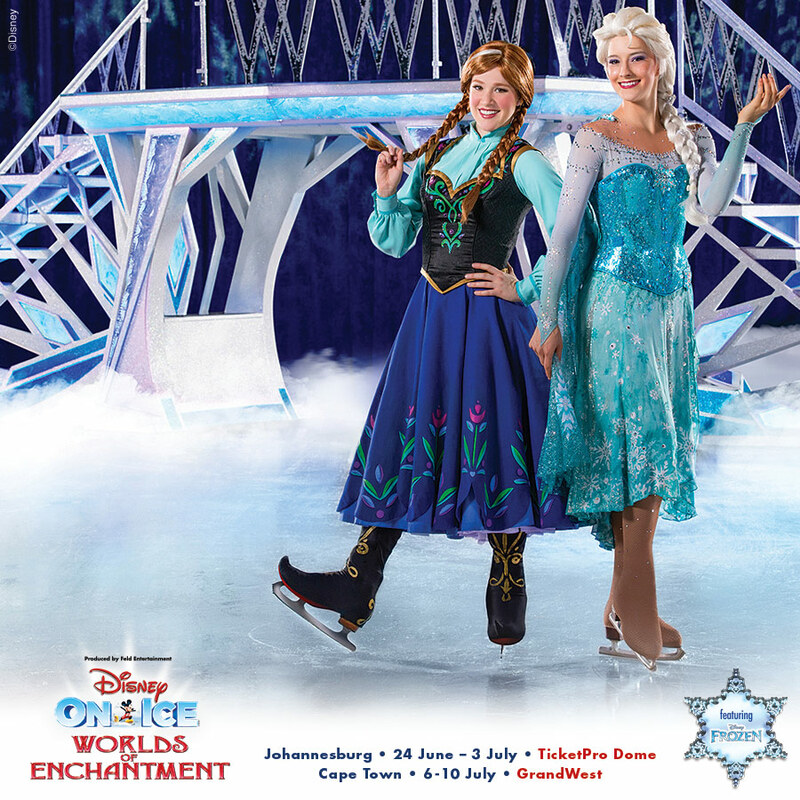 Cape Town families are offered a special saving of R30 per ticket to Disney On Ice presents Worlds of Enchantment. These discounts are valid for bookings of four, five and six tickets in specific priced ticket categories. Family packages at GrandWest are available weekdays on the R200 and R300 price categories while weekend tickets valid on the R250 and R350 categories. This is across all shows at GrandWest so that families can enjoy savings of R120 on a purchase of four tickets, R150 on five tickets and R180 on six tickets. Showtime Management and Feld Entertainment invite families to enjoy an extraordinary family winter school holiday outing at Worlds of Enchantment as they visit four magical locations. In Radiator Springs, life-size Disney●Pixar Cars characters – Lightning McQueen, Tow Mater and the crew – take their high-octane personalities to the ice while Disney’s The Little Mermaid takes the audience “Under the Sea” to visit Arial, Sebastian and the nasty Ursula. From the depths of the ocean to Sunnyside Day Care where Woody, Buzz Lightyear and Jesse from Disney●Pixar’s Toy Story 3 are waiting to have fun, to the fantastical wintery world of Frozen’s Arendelle with royal sisters Anna and Elsa with the hilarious snowman Olaf and mountain-man Kristoff. Disney On Ice presents Worlds of Enchantment, contains stories full of action, magic and unforgettable characters including all-time favourites Mickey Mouse, Minnie Mouse, Donald Duck and Goofy. Kiddies are allowed to bring small cushions to place on the seat. We regret, car seats are not permitted in the auditorium. Patrons are asked to please note that owing to safety regulations each person, irrespective of age must have a purchased ticket. From tiny tots to tweens and teens, from moms and dads to grandparents and extended family members, Disney On Ice is an annual enchanting experience that brings warmth these winter school holidays. Hurry, avoid disappointment, book now at Computicket by calling 0861 915 8000, visit www.computicket.com or your nearest Computicket service centre. To discover more about Disney On Ice, log on to www.disneyonice.co.za or visit them on Facebook and YouTube. 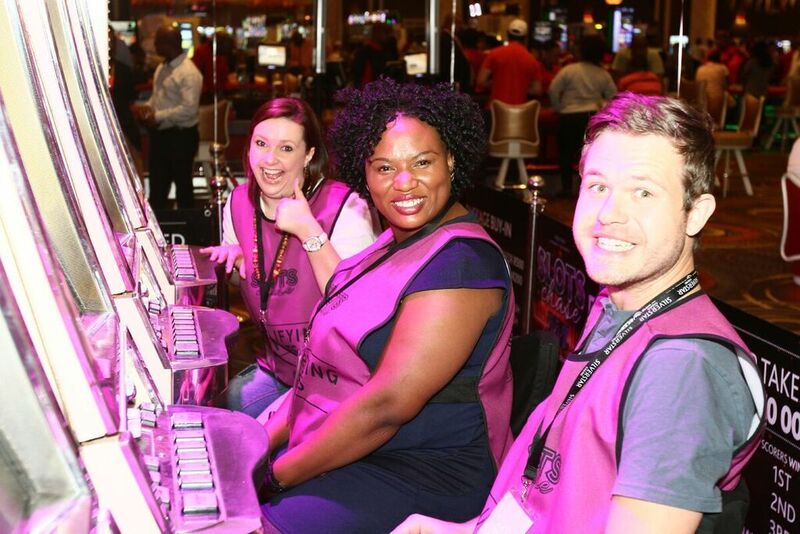 From now until the 24th of April 2016, the exciting, new Gauteng Slots Chase tournament is running at Silverstar, Montecasino and Gold Reef City. 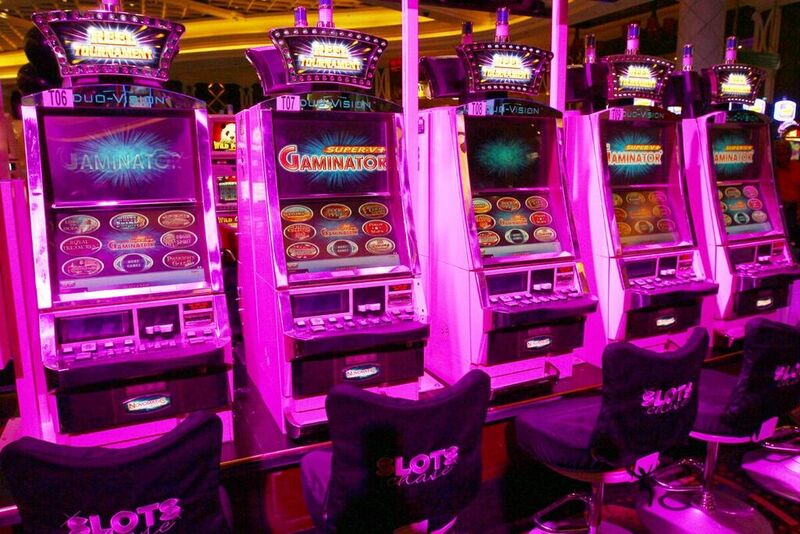 To enter the tournament for the chance to win cash prizes from the R500,000 prize pool or for a shot at the guaranteed R250,000 first prize and title of the first-ever Slots Chase winner, all you’ll need to do is pay R100 and register at the designated area. R200 will get you two entries into the tournament and R50 in FreePlay, while R500 will earn you five entries and R150 in FreePlay. 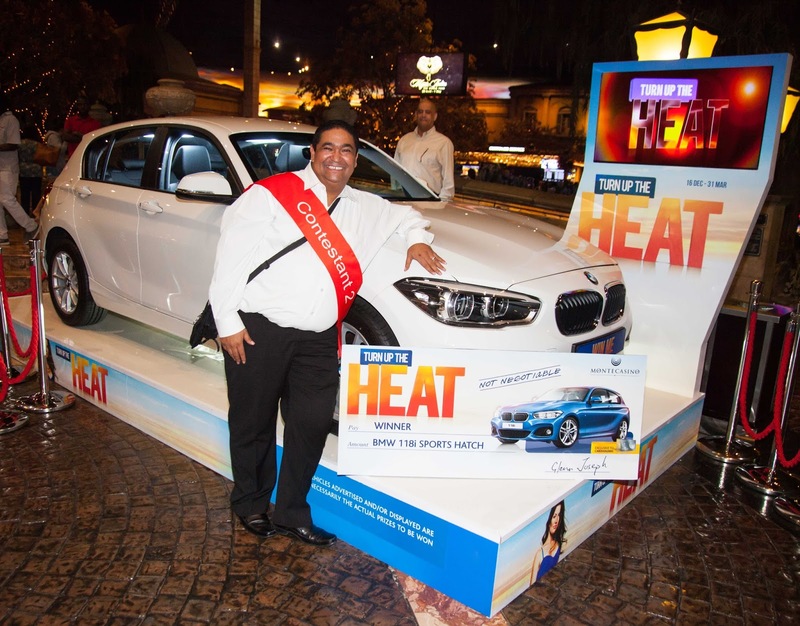 You can enter as many times as you like during the tournament heats and must belong to or sign up to the Tsogo Sun Rewards Programme to be eligible for the FreePlay. 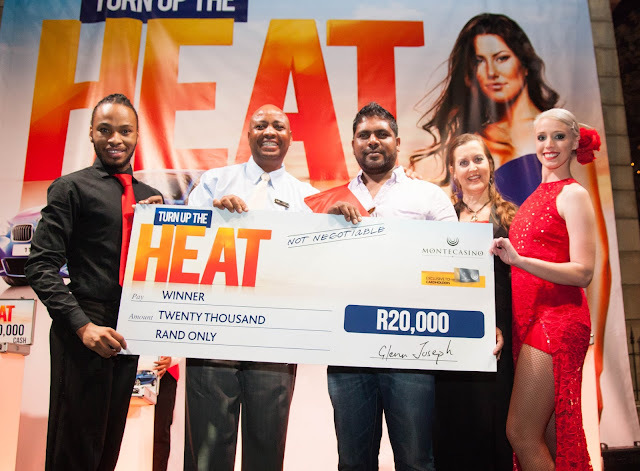 Heats used to take place daily from 12h00 to 21h00. The top scores on the leaderboard used to win daily FreePlay prizes. 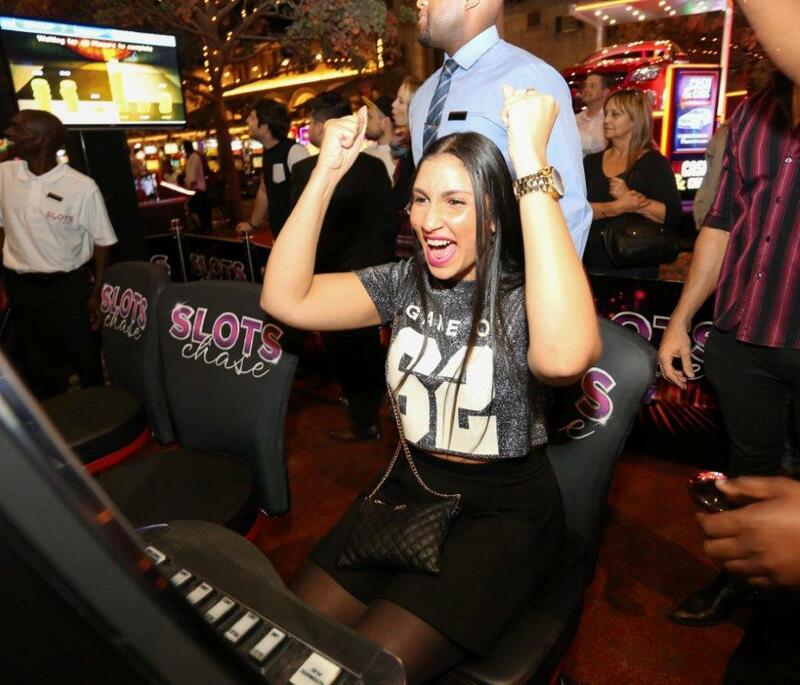 The 10 players with the highest scores will win a cash prize. 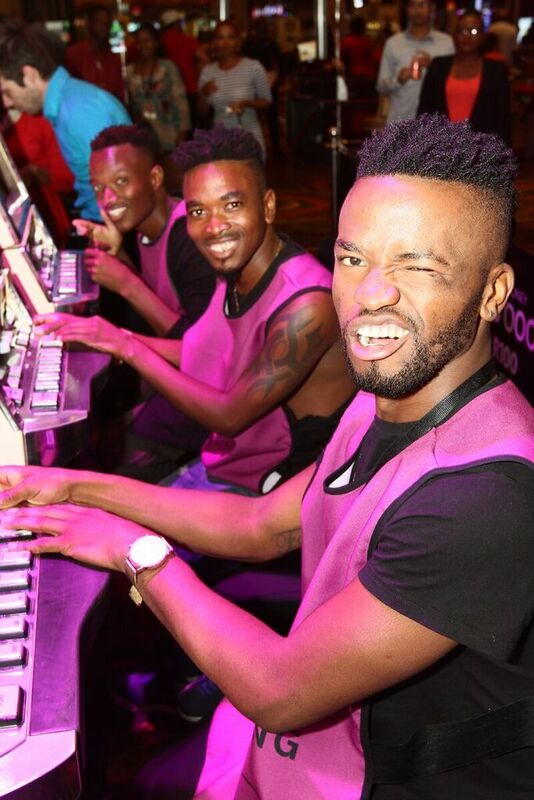 Plus they’ll automatically qualify for the final tournament, taking place on the 30th of April, at Silverstar. 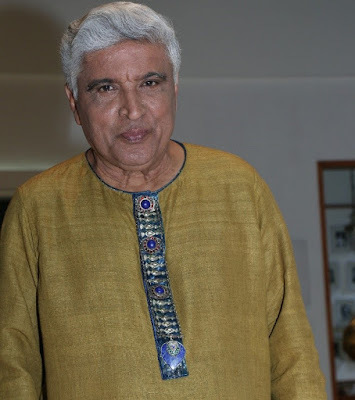 While it is not uncommon to spot an embroidered kurta or a sherwani at Indian weddings or festivals, what emerged as an important exposé on the fashion runways, this time, was that designers positioned traditional Indian menswear in the wardrobes not just as festive wear, but also as formal, casual or even club wear. Having said that, Javed Akhtar on his latest show ‘The Golden Years’ on Zee Classic is spotted wearing hand-woven ensembles in unusual designs and stunning kurta buttons in silver and beads. His variety of carefully crafted kurtas along with silver and oxidized buttons are the talk of the town. 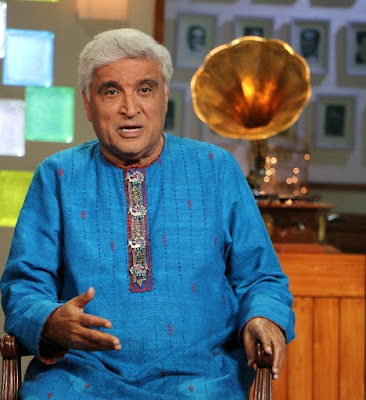 We give you an exclusive sneak-peak into the world of Javed Akhtar’s ethnic wear. His regal kurtas are custom made for him with an eye for detail starting from the cloth to design, lining, and style, combining the perfect accessories to add the wow factor. 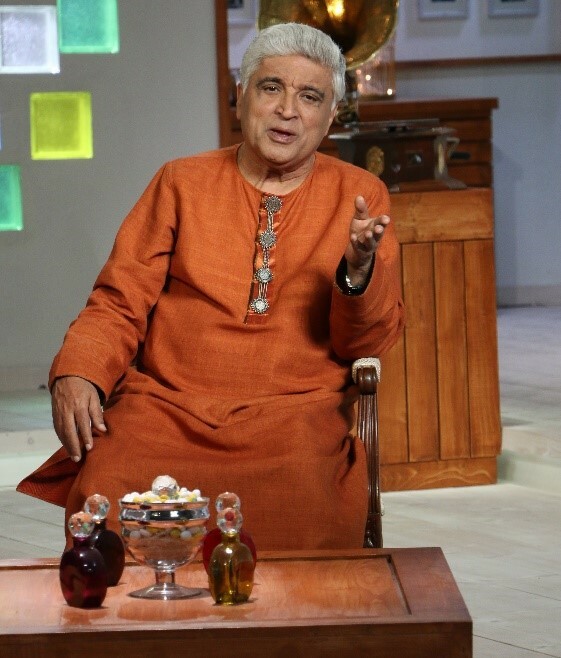 The designer ensures that the handwork and the colors complement each other seamlessly. You can choose from an array of block prints, khadi, applique, embroidery, patch work, linen, and many more. Gone are the days, when men only sported white and black kurtas. Opt for bright and unique colors like orange, blue, burgundy and even yellow. 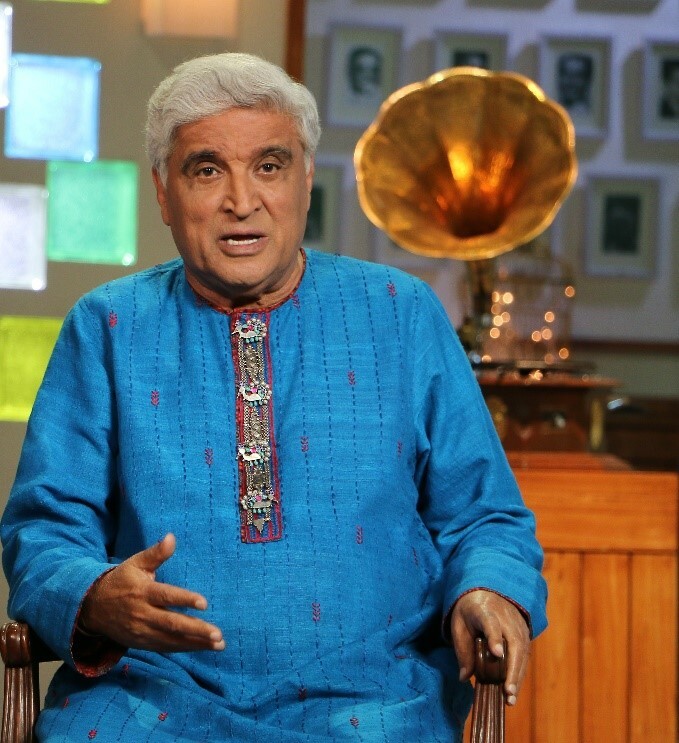 If Javed Saab can pull it off, so can you! You have the freedom to experiment with contrasts and mix match too. Accessorizing well can elevate the look of an outfit in more ways than you can imagine. 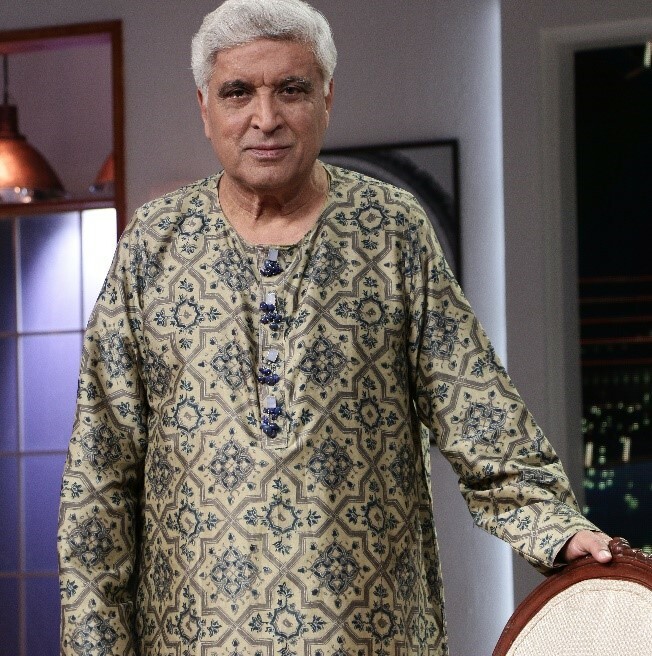 Kurta buttons are making a statement (see images below) and can add grandeur to your look. You can also choose from pocket watches, dupatta, brooches, drapes, etc to make a statement. 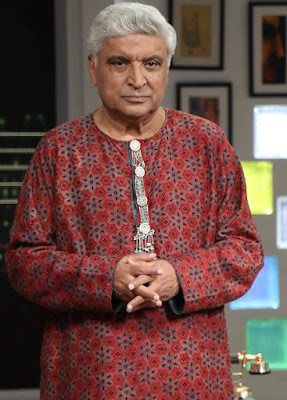 It's always to wear your traditional dress when you are living in foreign lands on certain special occassions and what Javed Sir did to his kurta's has brought the bling in the old traditional ethnic wear. 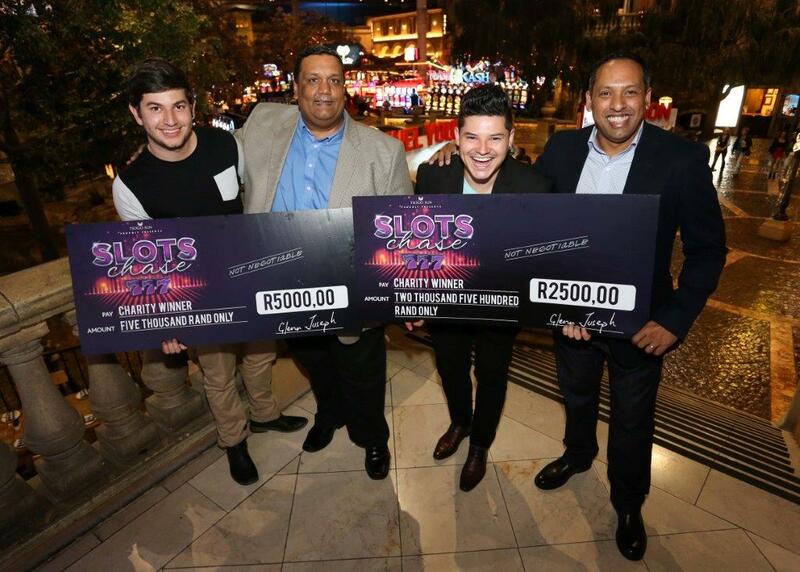 The weekly Montecasino Slots Chase celeb tournaments have come to a close. Having played for the opportunity to donate to the charities of their choice, several celebrities participated one last time to battle it out with each other and donate their winnings to a worthy charity of their choosing. 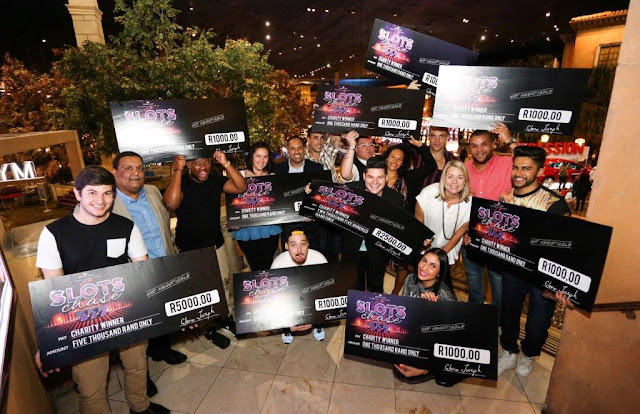 The celebrity edition took place alongside the official Slots Chase tournament, which will culminate in a grand final on 30 April at Silverstar Casino. Each of the participating twelve celebs were automatically awarded R1000 each to donate to their charity, with the top scorer of all the three tournaments winning R2 500. 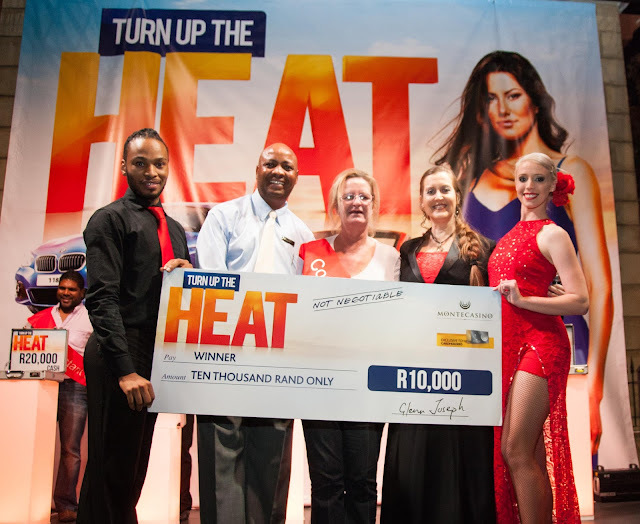 The leader board was then cleared and the twelve finalists went head-to-head for the big charity prize of R5 000. El Broide emerged as the victor and donated his R6 000 to donate to his chosen charity, PETS (Pet Empowerment in Townships). Coming in a close second, Lee-Roy Wright won a total of R3 500 (R2 500 top scorer prize in addition to the R1 000 each participant was awarded) to donate to his charity, Kitty & Puppy Haven. To get in on the real Slots Factor tournament, simply buy-in for R100 at Montecasino, any time until 24 April. Packaged buy-ins are also available. The participants obtaining the top 10 highest scores from a single heat at each of the three participating properties – Montecasino, Gold Reef City and Silverstar – over the six-week period will automatically win the unit prizes and, more importantly, qualify directly for the finals at Silverstar Casino on 30 April. For further information, visit www.montecasino.co.za. Be sure to also join them on Facebook at www.facebook.com/montecasino or follow them on Twitter at @MontecasinoZA. Acer has announced new additions to its consumer notebook range at the next@acer press event at 4 World Trade Center in New York on 21 April 2016 with the convertible Aspire R 15, all new Aspire F Series with premium metal covers, and the stylishly Aspire E Series and Aspire ES 15 for everyday computing, all of which are powered by Windows 10. The Aspire R 15 features 6th Generation Intel® Core™ processors, up to 12GB DDR4 memory with faster speed and lower power consumption, up to NVIDIA® GeForce® 940MX graphics and a reversible USB 3.1 Type-C port. Acer ExoAmp Antenna technology allows for improved connectivity – with an optimized antenna position, it avoids system noise and provides a faster, smooth, and stable wireless experience through its metal cover. Users also benefit from rapid connectivity with 2x2 MU-MIMO wireless and extended battery life of up to 9 hours. 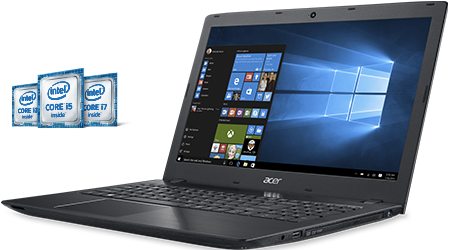 Equipped with 6th Generation Intel Core processors, up to NVIDIA GeForce GTX950M graphics with GDDR5 VRAM, and DDR4 RAM, the Aspire F and Aspire E series provide ample power for everyday use. Wired connectivity includes a USB Type-C port in addition to other essentials, while 802.11ac MU-MIMO technology provides blazing fast wireless connectivity. Both the Aspire F and Aspire E Series are powered by Windows 10 and feature Acer ExaColor technology, with meticulously, step-by-step tuned displays bringing out colorful and vivid details, while Acer BluelightShield technology allows people to adjust the screen’s blue-light emission for extended periods of use. Acer TrueHarmony provides immersive and pure sound for entertainment, and Skype for Business certification ensures crisp and clear communication. The Acer Aspire R 15 will be available in South Africa with prices starting at R 8 999,99. 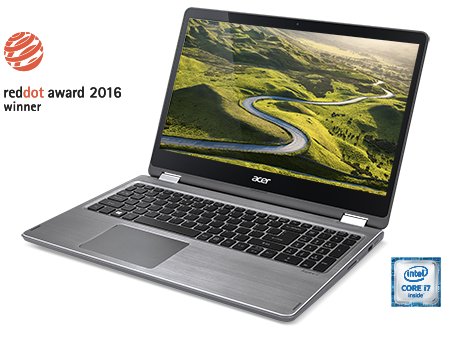 The Acer Aspire F Series will be available in South Africa with prices starting R 8 499,99. 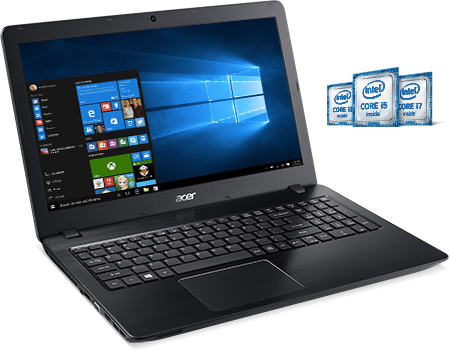 The Acer Aspire E Series will be available in South Africa with prices starting at R 8 499,99. The new Aspire notebooks were unveiled today at the next@acer press event at 4 World Trade Center in New York, where the company announced a range of new devices and solutions for families, students and professionals. For more information, visit acer.com/nextatacer. 9-hour battery life is based on MobileMark2014 productivity mode testing with wireless on. Actual battery life varies depending on device settings and usage. 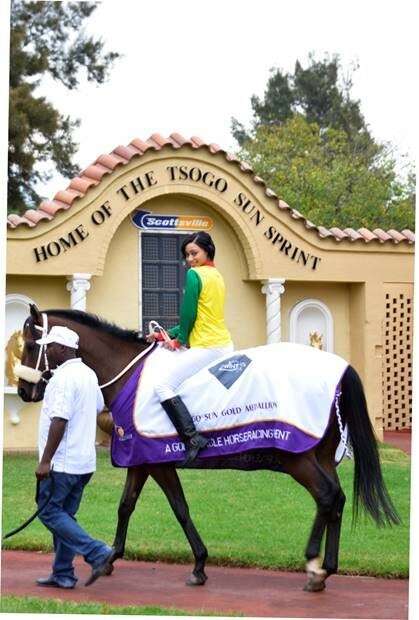 The eagerly awaited Tsogo Sun Sprint Race is once again gracing the Scottsville Racecourse in Pietermaritzburg on Saturday, 4 June 2016 with this year’s theme being Unbridled African Flair. This world-class race event, which will see celebrities, socialites, sports personalities and the fashion forward descend on the grounds, was first introduced in 1962. Today it is the oldest, biggest and richest sprint event and one of the top six race days on South Africa’s prestigious horse racing events calendar. 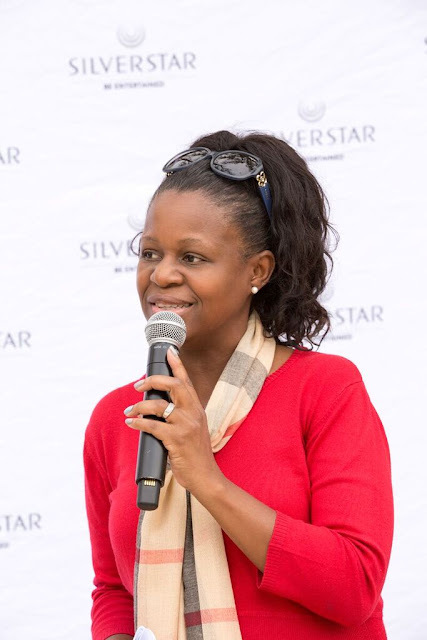 The City of Pietermaritzburg, has partnered with Tsogo Sun since 2014, to position the event and Pietermaritzburg more strongly on the South African map to drive tourism in the area. 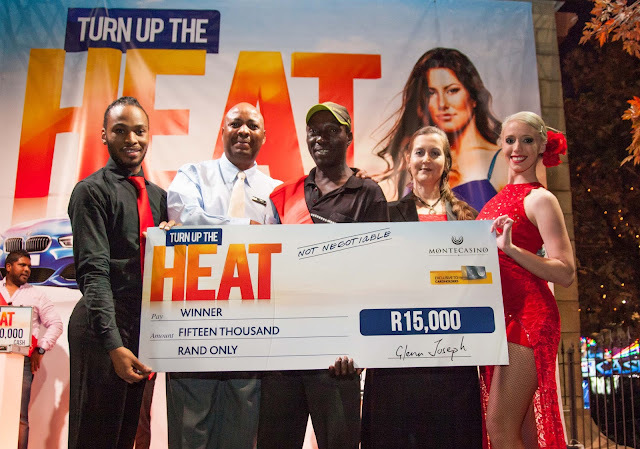 This year’s total prize money, which owners, grooms, trainers and jockeys can win on the day, stands at over R3 million, with the main race’s prize money being R1 million. Under this year’s theme, African Flair, the event, promises glitz, glamour and panache as the order of the day as fashionistas battle it out for both prize and prestige. Entrance to this not-to-be-missed glittering affair is free of charge so there is no reason not to put on that daring dress or fancy black suit and go turn it up with the rest of the country’s elite. 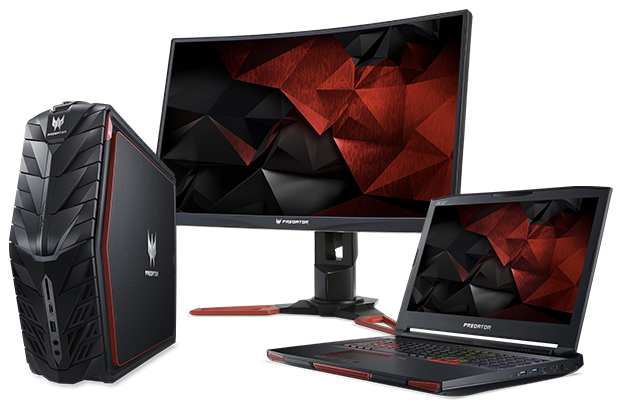 At Acer’s next@acer Global Press Conference in New York, the company announced new notebooks, desktops and monitors in its powerful and award-winning Predator gaming line. The new Predator 17 X notebook and compact Predator G1 desktops include top-of-the line computing technology and are NVIDIA GeForce VR-Ready(1), ready for virtual reality (VR) devices from Oculus, HTC Vive, OSVR and StarVR. Building on the success of Acer’s Predator gaming notebooks but ramping up the performance even further, the new Predator 17 X brings overclocking and desktop grade performance to mobile gaming(2). Powered by a 6th Generation Intel Core i7-6820HK processor, NVIDIA® GeForce® GTX 980 graphics, and a custom triple-fan cooling system, it delivers an uncompromising combination of power and portability(2). With overclocking, gamers will enjoy class-leading turbo speeds of up to 4.0GHz for the CPU; up to 1310MHz for the GPU; and up to 3.7GHz for VRAM . 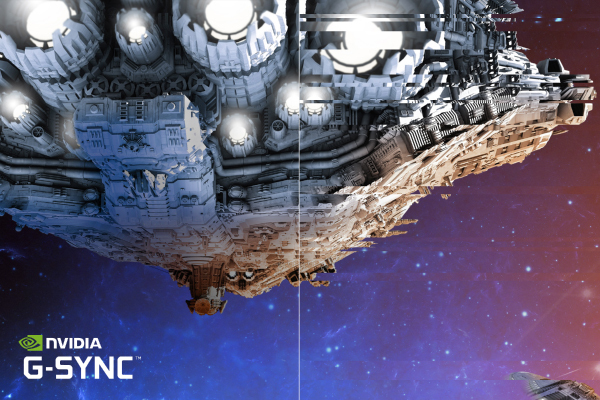 Fully ready to tackle virtual worlds, its top-end GPU makes it an ideal “VR-to-go” platform. For the ultimate in game play, buttery smooth visuals are delivered on the notebook’s 17.3-inch G-SYNC panel. Available with either a FHD IPS (1920 x 1080) or UHD IPS (4K 3840 x 2160) display, NVIDIA G-SYNC technology matches the refresh rate of the screen with the powerful GPU to eliminate screen tearing and minimize stuttering. All this muscle is enhanced with DDR4-2133 memory and enterprise level NVMe PCIe solid state drives in a three-SATA-SSD RAID 0 array for immense data transfer speeds(2). Killer DoubleShot Pro enables Ethernet and Wi-Fi connections to work together, so gamers can use Ethernet for gaming while at the same time using WiFi for watching twitch.tv, listening to music or Skyping with friends. A Thunderbolt 3 port adds expandability and delivers the fastest, most versatile connection to any dock, display, or data device. It is up to 8X faster than USB 3.0 and 4X faster than USB 3.1. The Predator 17 X also includes a new triple-fan cooling system that maximizes heat dissipation and ensures extreme overclocking performance. An Aeroblade fan located near the GPU uses the world’s thinnest metallic blades (0.1mm) to simulate aircraft wing flight behavior to enhance fan speed, reduce drag and nose. Together, the three fans optimize air flow while an efficient front intake system brings cool air into the laptop. A vapor chamber, most typically used in server environments for high-performance and cooling efficiency, also helps to dispatch the heat and enable better overclocking performance. The Predator 17 X also includes DustDefender and CoolBoost, which uses dual high-speed fans with reverse rotation to remove dust build-up and improve heat dissipation. 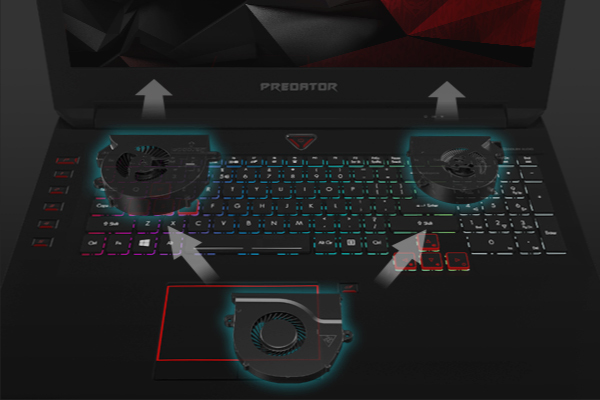 Acer’s PredatorSense software offers advanced customization options for gaming features like overclock modes, keyboard macro profiles and programmable keys for favorite games and adjustable lighting configurations. In addition, the Predator 17 X’s backlit keyboard includes customizable RGB illumination, so gamers can change and personalize lighting zones colors for specific game or profile setups. The Predator G1 (G1-710) gaming desktop squeezes awe-inspiring power into a compact 16-litre body and is designed for gaming at home or on-the-go. This highly transportable gaming beast easily fits under an arm or in an optional carrying case, making it the ultimate war machine for serious gamers and LAN parties. The perfect balance between compact size and great power, the Predator G1’s 16-liter chassis supports full size NVIDIA GeForce GTX graphics (up to Titan X), 6th Generation Intel Core processors and up to 64GB DDR4 memory for supremely smooth gameplay(2). For gamers interested in virtual reality, just plug in a VR headset and get ready to explore new worlds with the Predator G1 leading the way. The new Predator desktop also includes another must-have gaming feature -- Killer DoubleShot™ Pro, which picks the fastest network connection (Ethernet or Wireless) and sends all high priority traffic over that interface, while standard traffic is sent over the other. This ensures the highest priority traffic is always delivered over the fastest and most reliable link. With support for G-SYNC and 4K2K Ultra High Definition visuals, the Predator G1 provides stunningly smooth high-quality images, delivering games and movies with unparalleled precision and clarity, while Creative Soundblaster X-Fi MB5 and 7.1 channel audio support provide immersive sound. The Predator G1 also offers massive storage, including up to a 4TB (7200 RPM) hard disk drive(3) or a 512GB solid state drive(3), while a USB 3.1 Type-C Gen. 2 port adds huge expandability and fast data transfer. Acer’s PredatorSense software can be used to check and control system vitals, set up hotkeys and adjust the multicolored lighting on the customizable “growl lights” along the PC’s front chassis. For extra convenience, dual slide-out headset cradles on each side of the PC let gamers place the G1 against a wall and still have a cradle available for use. Acer also offers a range of optional accessories for the Predator G1 gaming desktop, including a mechanical keyboard, headset and wheeled carrying case. The Predator 17 X notebooks will be available at leading retailers with prices starting at R 45 999, 00. The Predator G1 desktops will be available at leading retailers R 18 999,00. The new Predator line up was unveiled at the next@acer press event at 4 World Trade Center in New York, where the company announced a range of new devices and solutions for families, students and professionals. For more information, visit acer.com.